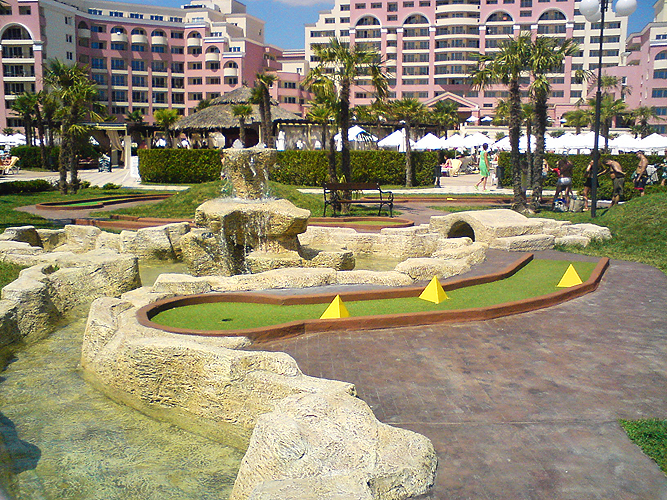 MINI GOLF is played exclusively on mini golf courses. 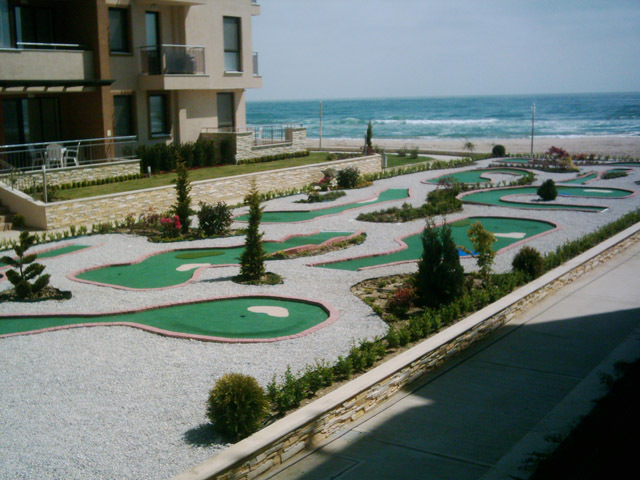 As the owner of a MINI GOLF course, you make your facilities available to amateur as well as professional players for a fee. You will have to meet certain expectations. 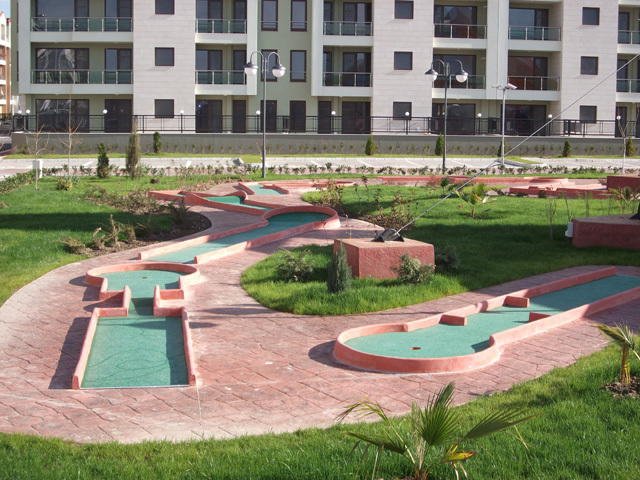 For this reason, the following principles should be kept in mind when planning your facilities. Technical Perfection: In order to hold sports contests as well as to measure individual performances, it is necessary to create the same playing conditions. 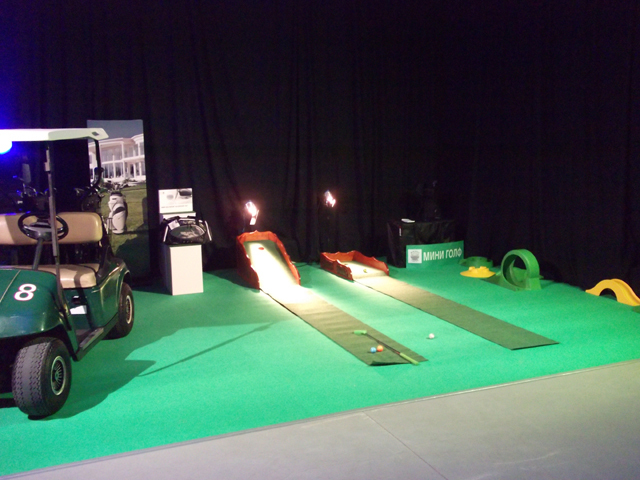 Just like every tennis “court or pool table is governed by specific regulations, this is also true for standardized miniature golf courses in the WORLD MINIGOLFSPORT FEDERATION (WMF) in accor­dance with the ,,Bongni” system. 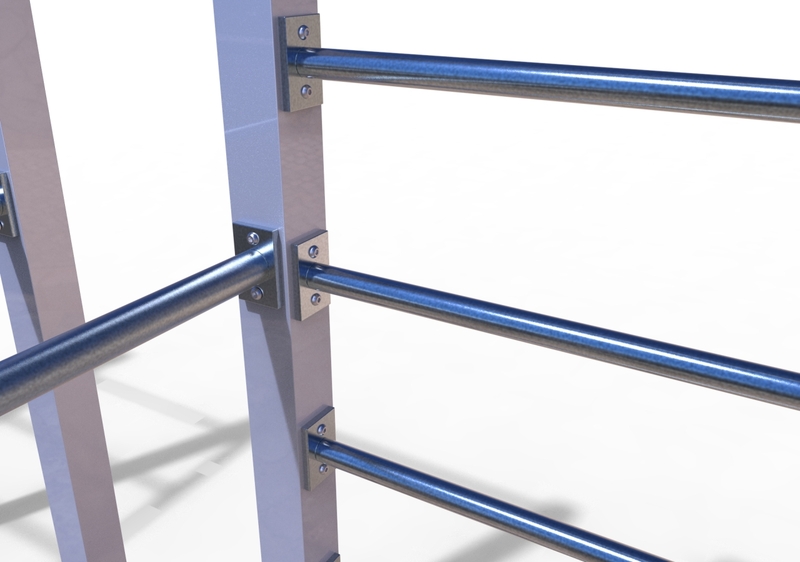 Strict adherence to the design plans and construction guidance will guarantee technical perfection. 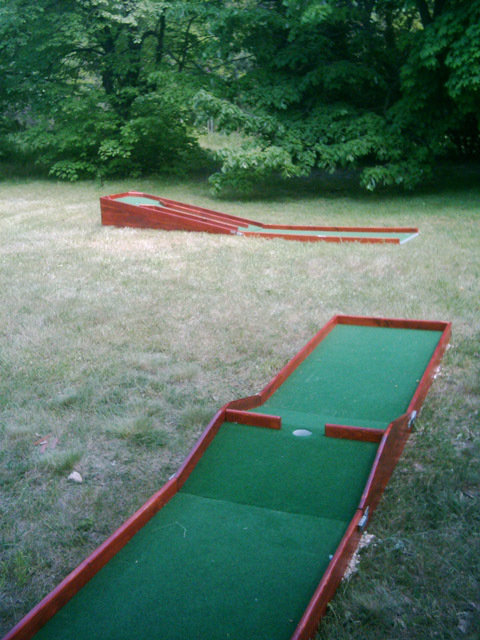 Solid Construction: A MINI GOLF course must be able to withstand heavy stress. 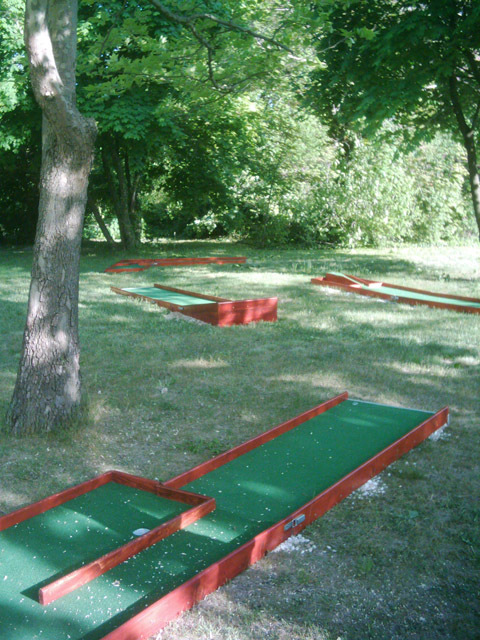 During the course of a season, ten thousands of players with different tempers will use your mini golf course and is will also be exposed to all seasonal weather conditions. 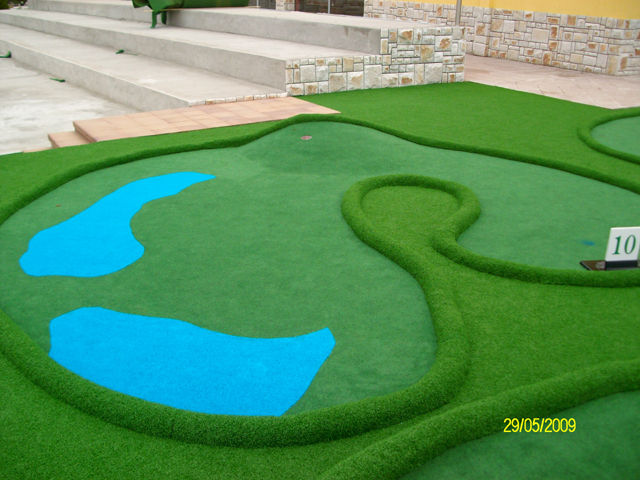 Only a solidly built golf course will ensure that playing can take place day after day, without repairs required. 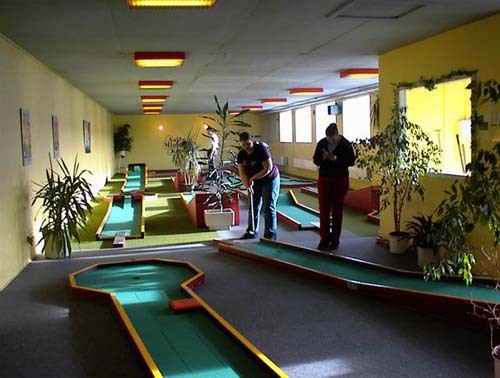 Appropriateness of the Facilities: As your miniature golf course is an enterprise, the rules of economic thinking also apply. 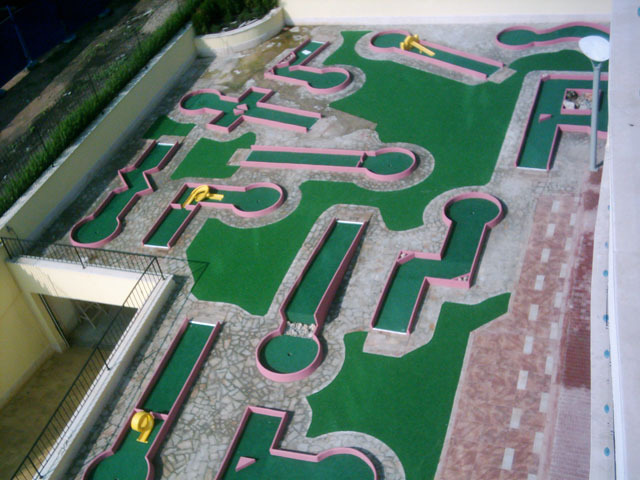 As for any operation, there are also indisputable organizational guidelines for the operation of a miniature golf course. Observing these guidelines will avoid problems for yourself and your customers and, in the end, the result­ing economic success will be your reward. 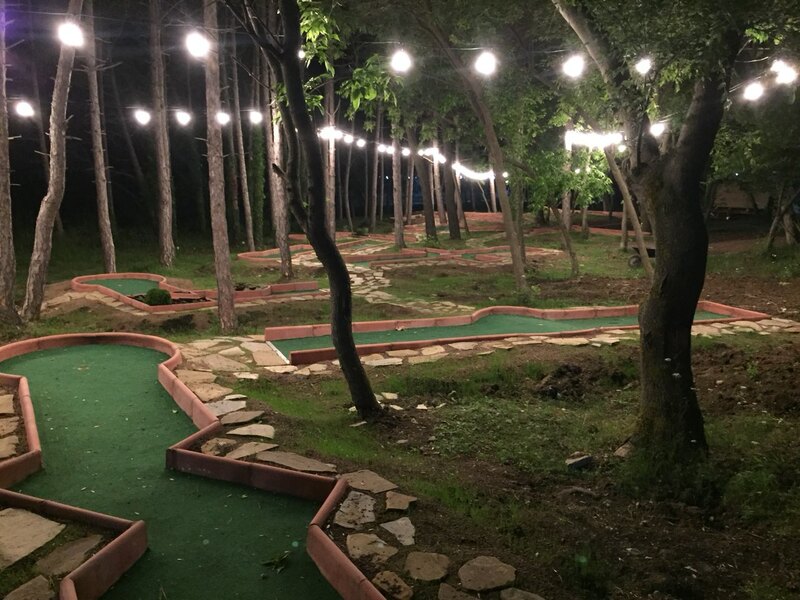 Good Appearance: Customers want to enjoy your mini golf course and a good overall picture of the facilities should also be provided to the many spectators. 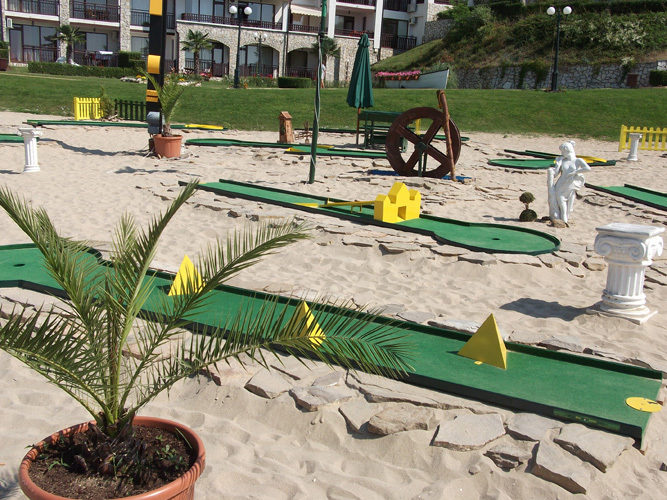 Let your customers feel that your miniature golf course is a recreation and holiday park. 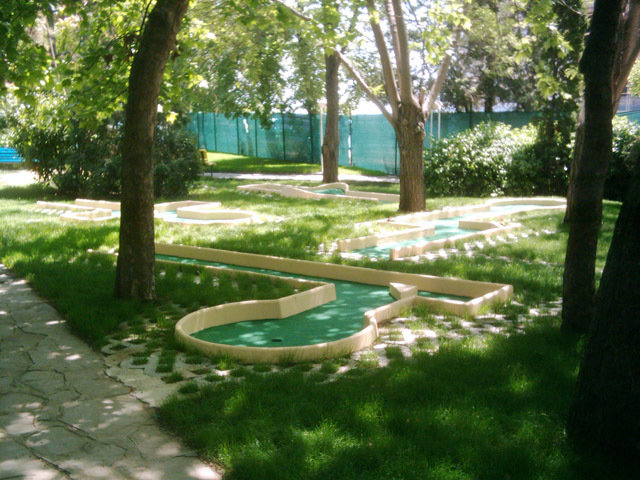 Show (also in small things) that the decision to construct the mini golf course was not based only on profit thoughts but also on emotions. 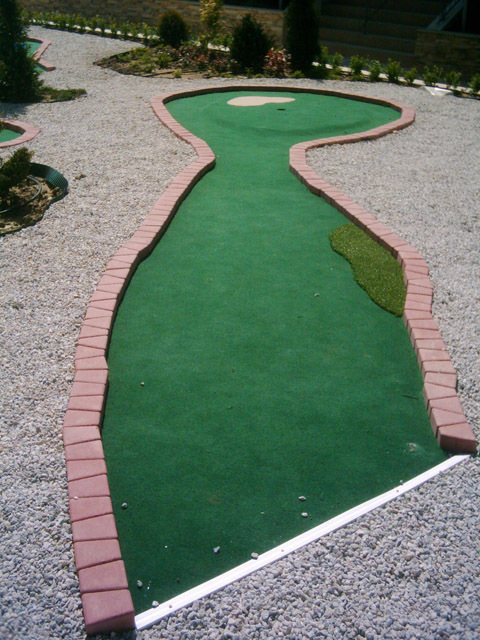 Good Location: Selecting the location/site for a mini golf course is based on numerous thoughts that will result in a level-headed weighing of the advantages and disadvantages. Contests. 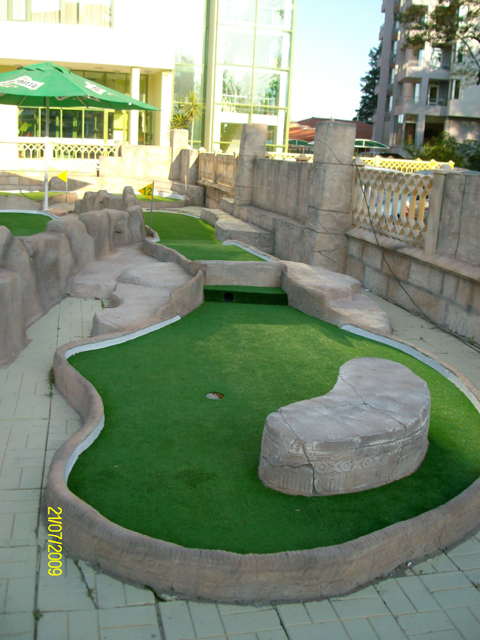 Sports Associations and Clubs: In the recent past, construction of numerous miniature golf courses was managed by associations and clubs themselves. 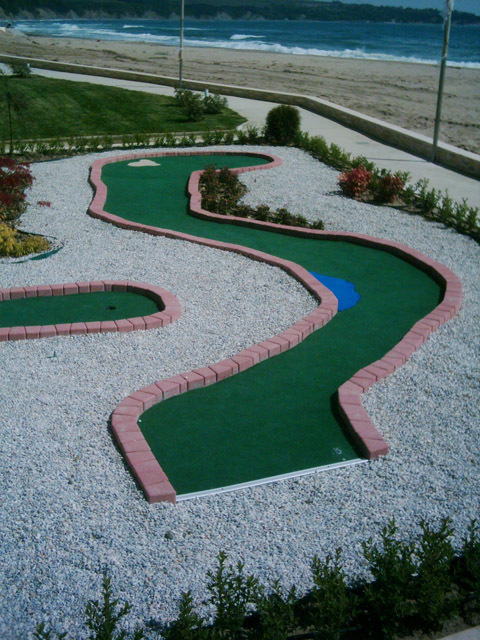 This has resulted in great advantages as far as carrying out contests is concerned. Professional and amateur sports were brought together. Sports associations and clubs have benefited from the growing number of active players without a negative effect on the leisure time, sports activities of the people at large. Additionally, this helps build up a solid financial basis for the clubs. 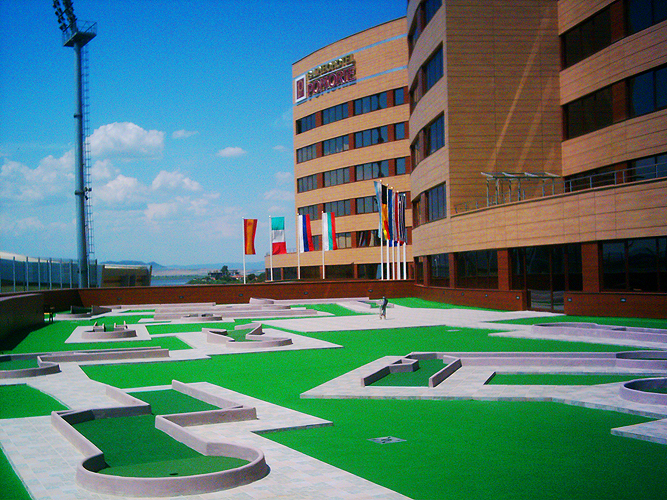 to sports associations and clubs is to increasingly build club-owned facilities. 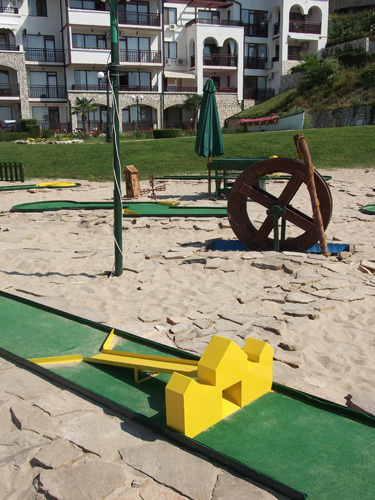 Possible Number of Visitors: As a general rule, on a course with a size of 2,500 m2, approximately 100 players can play at the same time. 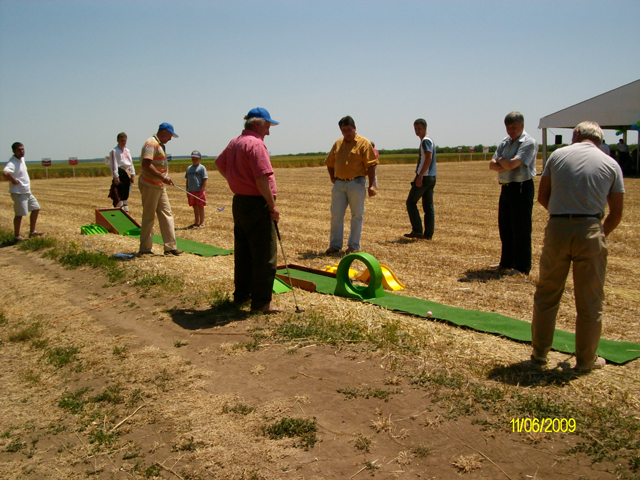 The highest number of visitors per day on a medium size course of the mentioned size was 1,167. 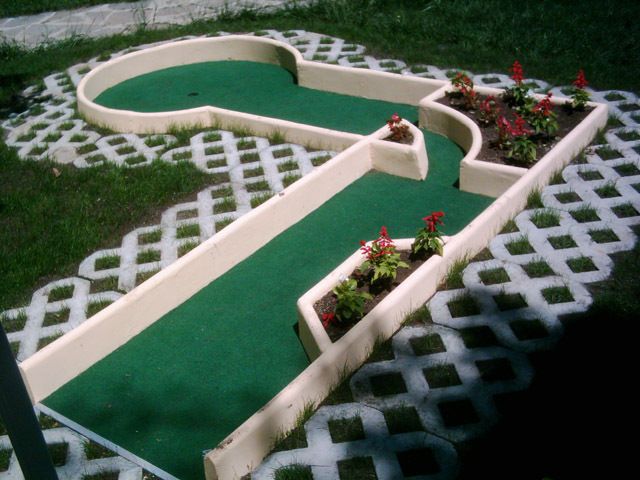 It would be possible to increase this number if the fairways with more difficult obstacles would be planned in duplicates during the design phase. 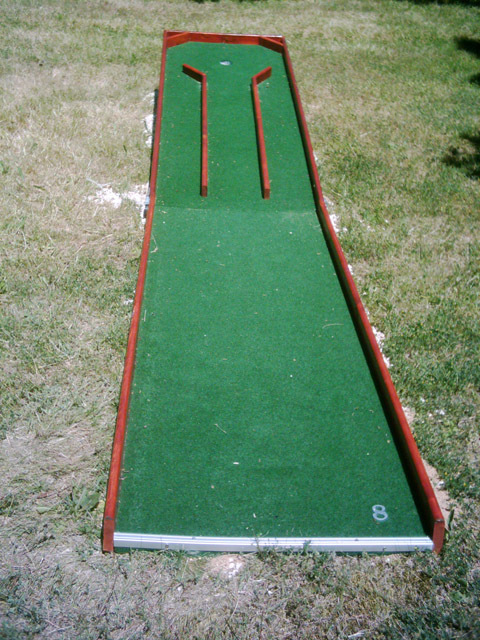 This way, occurring hold-ups, caused by players with less practice on the stated fairways, could be avoided. 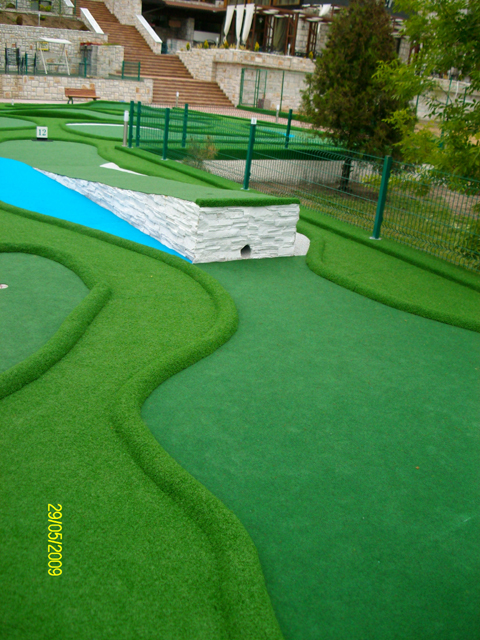 Situation in the Local Area: If the mini golf facilities are intended for specific groups of persons (clubs or organizational sports facilities), the location will be chosen accordingly. In all other cases, in order to achieve a business success, it is extremely important to consider the local area and the various groups of possible players along with transporta­tion systems available and locally prevailing conditions. 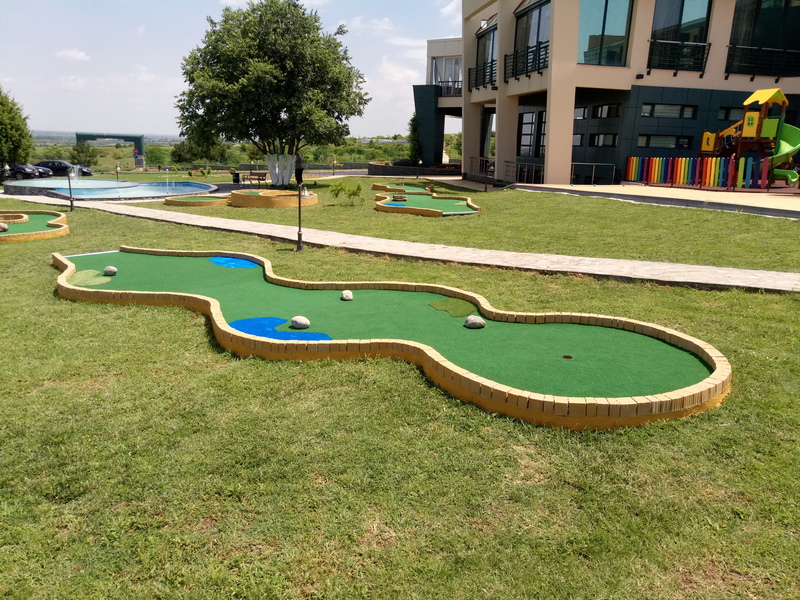 It is advantageous to set up a mini golf facility in combination with sports facilities (stadiums, swimming pools, sports and holiday parks), amusement parks as well as recreation facilities (hotels, curative treat­ment facilities, recuperation parks and convalescence facilities). 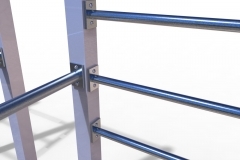 Ideally, it is always com­bined with a coffee shop or an appropriate kiosk. 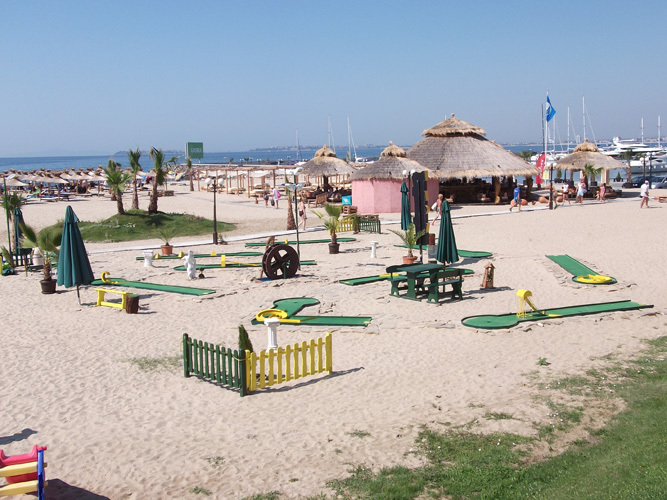 In the recent past, club-owned facilities with kiosks within a sports and holiday facility have been very well received. Transportation: The close proximity to stopping points of public transportation systems (streetcars, busses, etc.) is desirable. 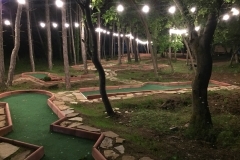 Additionally, parking areas for at least 20-30 ve­hicles, along with slots for motorcycles and bicycles, should be available close to the miniature golf course. 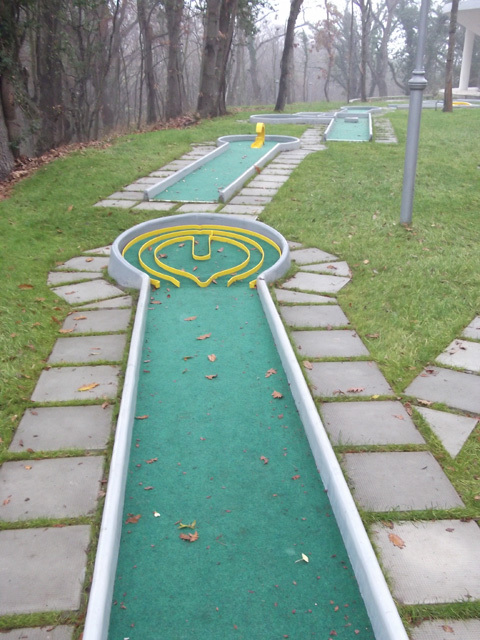 The parking area should, however, be separated from the miniature golf course. A location in front of pedestrian thoroughfares is a great advantage. 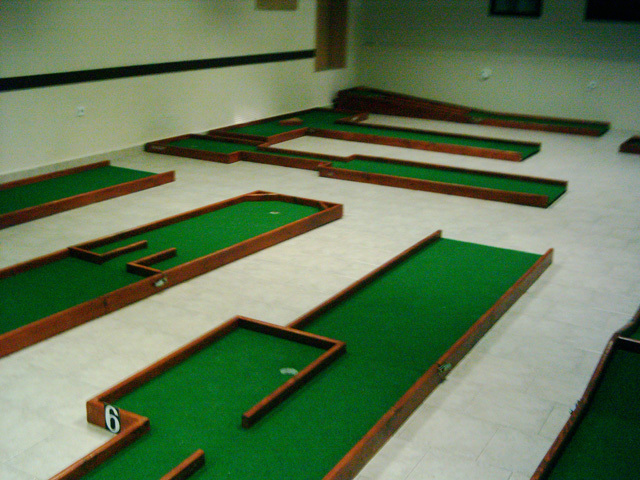 Adequate room for spectators should be considered in the design. 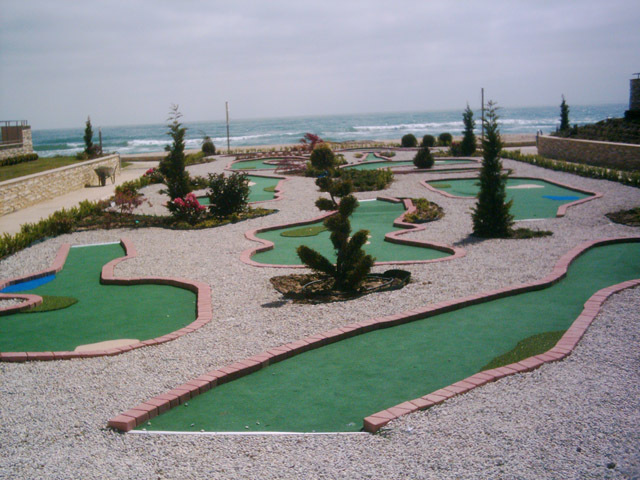 The best advertising for your mini golf course is the course itself as many of your future regular guests will be attracted to mini golfing after incidentally passing the facilities. For club-owned facilities, carrying out national and international tournaments and champi­onships is also a source of advertising. 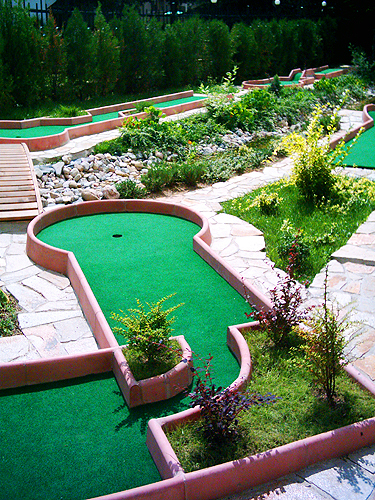 Folk tournaments are also very well received by the public. Size of the Area: The required lot size varies from 800 to 2,000 m2, depending on the estimated number of visitors. 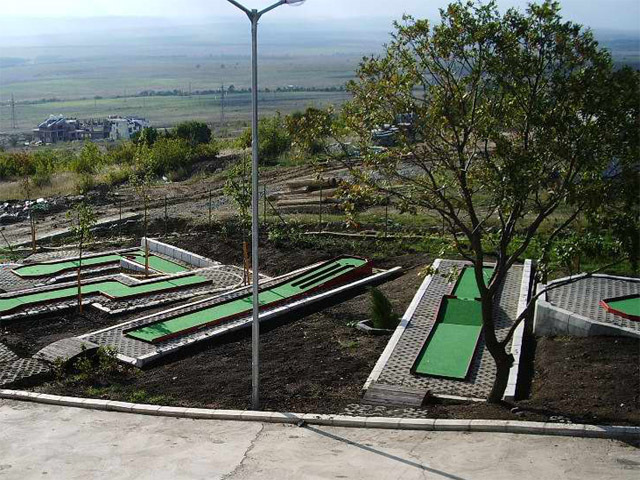 Approximately 50 people can play on a lot size 800 m2 at one time. 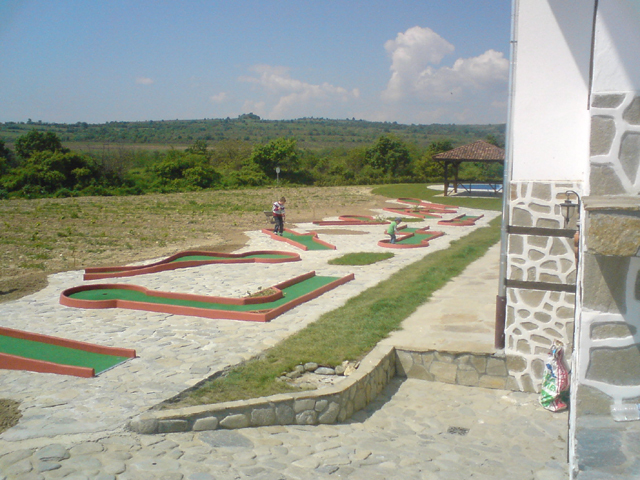 Approximately 80 people can play on lots size 2,000 m2 at one time. 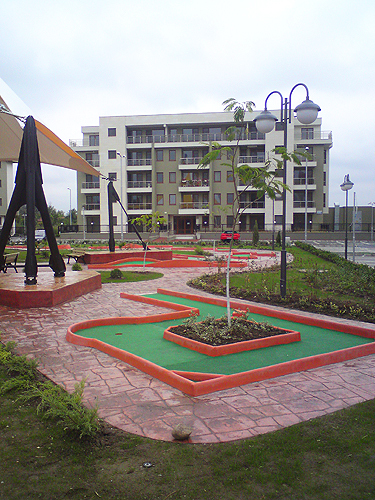 Bigger lots allow for more generous and creative landscaping, more convenient walkways, and placement of benches for resting, they do, however, also require more care. Connections: Supply line connections for water (drinking water and water supplied to lavatories, toilets, sprinkler systems), for electricity (illumination attracts more visitors) for sewage systems (disposal of waste water, drainage system or purification plant) as well as for telephone systems have to be considered as required. Shape. Standards: The shape of the area (rectangular, square, etc.) 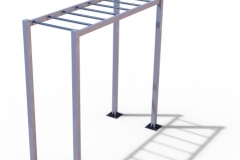 is irrelevant. 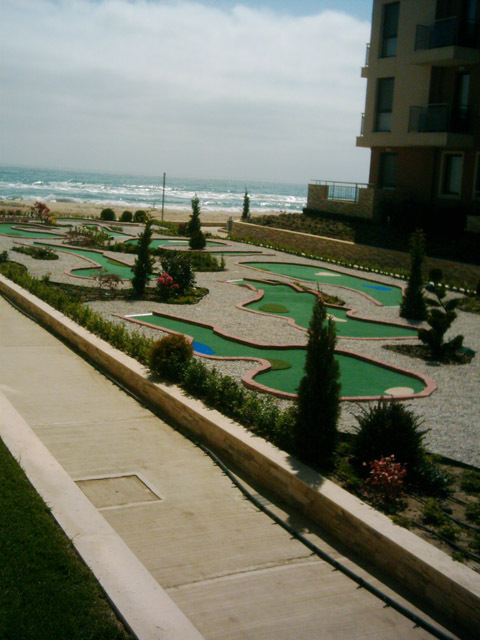 The lot does not have to be completely level; it may be divided into individual terraces. 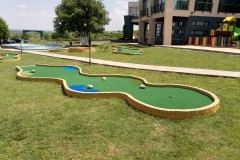 Do, how­ever, note that building costs are higher in sloped areas and also that the construction of the fairways will have to be completely horizontal. 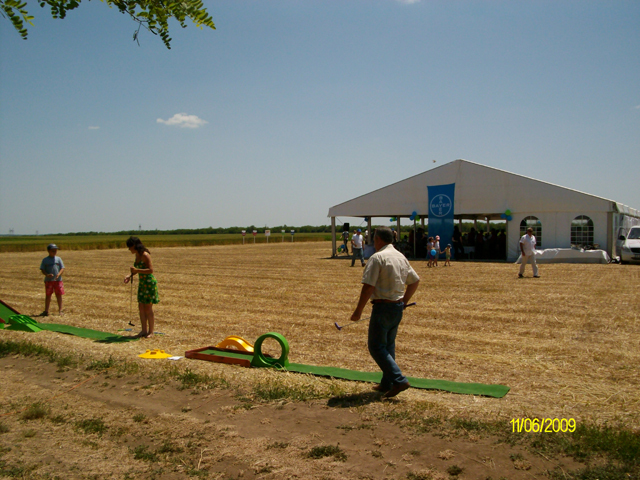 If extensive fill-ins are necessary, there is a danger that the soil will settle afterwards, which would subsequently cause the fair­ways to no longer be horizontal. Conditions of the Ground: The ground shall not be too wet or marshy as costly drainage work would then be required. 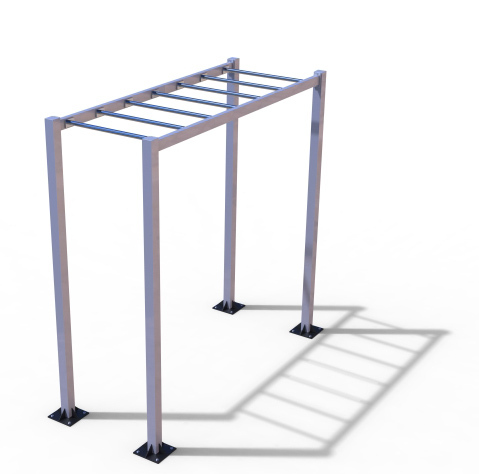 Other than that, every type of ground is suitable. 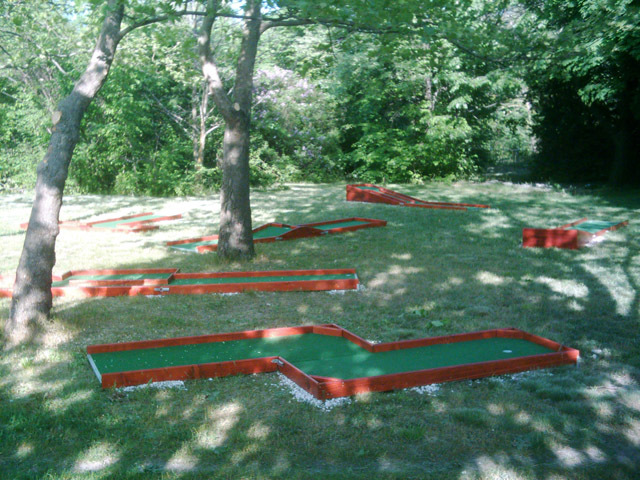 In the case of heavy grounds, the fairways will require an appropriate drainage substructure. Garden and grassland lots often provide valuable native soil that can be used well for gardening purposes. Legal Position: Prior to starting any project work, check all legal aspects (mortgages, servitude rights, rights of ownership, rights on water and construction, levies, etc.) Failure to check on the legal conditions can cause unnecessary problems later. 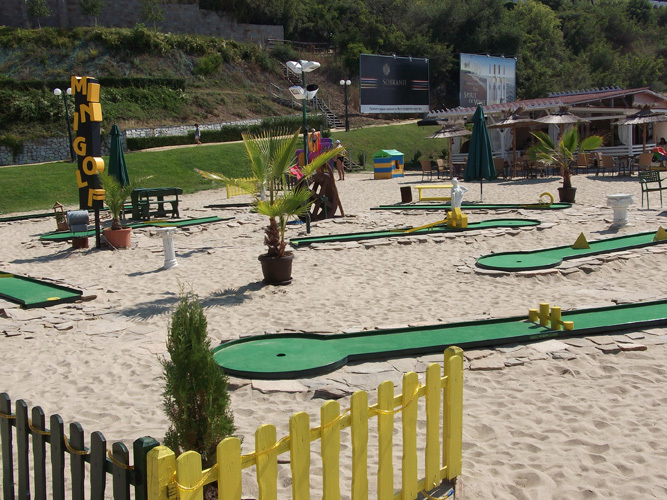 General: Wherever possible, the establishment of a miniature golf club on your mini golf facilities is advantageous. 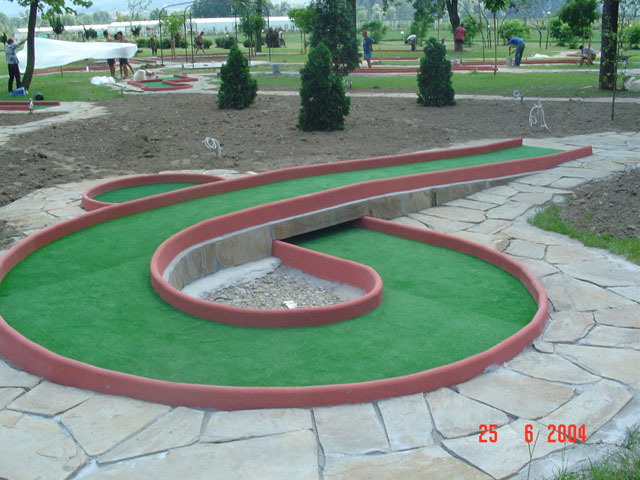 Mini golf played by a club is especially attractive to interested people who enjoy the sport of mini golf and who will, to a large degree, become regular players on your course.